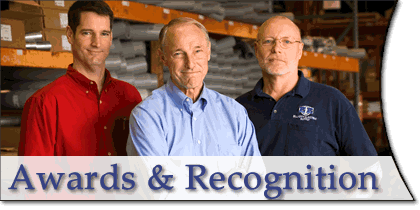 From annual sales totals, to website development, to outstanding leadership, these are just a few of the most recent achievements for which Elliott Electric Supply has received industry-wide recognition. Elliott Electric Supply was ranked as the 12th largest electrical supplies distributor in the nation for 2016 by Modern Distribution Management magazine. The rankings were based on 2016 sales, which came to about $756 million, with five new Elliott Electric Supply location openings. Also for 2017, based on the same 2016 sales as MDM, Elliott Electric Supply was ranked by Electric Wholesaling as the 12th largest distributor in the US. Elliott Electric Supply was ranked as the 13th largest electrical supplies distributor in the nation for 2015 by Modern Distribution Management magazine. The rankings were based on 2015 sales, which came to about $742 million, with five new Elliott Electric Supply location openings. Also for 2016, based on the same 2015 sales as MDM, Elliott Electric Supply was ranked by Electric Wholesaling as the 14th largest distributor in the US. We're excited to announce that we've moved up another place in Modern Distribution Management's rankings of the "Top 25 Electrical Distributors" for 2014. MDM ranked us as the 13th leading electrical distributor in the US based on revenues for 2014 (@ $631M). We are proud to announce that Elliott Electric Supply jumped up another FIVE places on Electrical Wholesaling's Top 200 list for last year's sales, making us the 14th largest electrical distributor in America. Following our tried-and-true recipe for steady growth–making every possible effort to serve our customers better–we hold high hopes as we look to the road ahead. We're equally honored to announce that Modern Distribution Management also ranked us as the 14th top electrical distributor in 2011. MDM based this ranking on Elliott Electric Supply sales figures for 2011, which rose a whopping 33.9% from 2010. We continue to open new locations each year with the intent of better serving our loyal customers, which is a key part of meeting our annual goal of 15-20% compound growth. The possibility of entering the top ten during the next decade is a very exciting prospect for all of us here at Elliott Electric Supply. We are proud to announce that Elliott Electric Supply rose another two places on Electrical Wholesaling's Top 200 list for 2010's sales, making us the 19th largest electrical distributor in America. Our investments during the harder times—increases in personnel and facilities while competitors cut back—are already contributing to the growth of our business in 2011. We are also thrilled that Modern Distribution Management ranked us as the 17th top electrical distributor in 2011. MDM based this ranking on Elliott Electric Supply sales figures for 2010, which rose 20.2% from 2009. We opened several new locations in 2011, with even more on the horizon, which will play an important role as we strive to meet our annual goal of 15% compound growth. Last year, perhaps the most challenging year in decades for businesses, we managed to increase our ranking from 24th to 21st among the nation's largest electrical distributors, overtaking some of our closest competitors while still affording to open new store locations and increase our personnel. By nurturing long-lasting business relationships, continuously reinvesting in the company, and expanding our business presence wisely, we've been able to double our company's size every five to six years...for nearly 40 years! 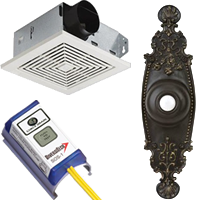 In the June 2009 issue of Electrical Wholesaling we were ranked the 24th largest electrical distributor in the US based on total sales of $382,232,398. By nurturing long-lasting business relationships, continuously reinvesting in the company, and expanding our business presence wisely, we've been able to double our company's size every five to six years...for nearly 40 years! From TED Magazine: "Nearly every year since 1992 (no award was given in 1994 and 1996), NAED's Arthur W. Hooper Award has been awarded 'to an individual who has served the industry in an outstanding and unselfish way over the course of his or her career in the distribution of electrical goods.' 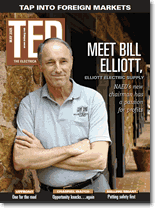 This year, the honor goes to Bill Elliott, president of Elliott Electric Supply in Nacogdoches, Texas. 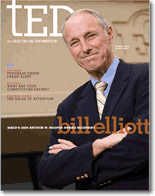 Elliott Electric Supply was awarded TED Magazine's 2007 Best of the Best Award for Best Website (elliottelectric.com) in the category "Distributor Over $200 Million." TED magazine's Best of the Best awards program exists to honor marketing excellence and recognize creativity within the electrical industry in companies of all sizes. The success of a marketing program is often difficult to measure in tangible terms; therefore the awards program provides winners with the opportunity to show that their work is highly regarded within their own industry. In addition, over the years, the program has become a way to benchmark a company's efforts against those of its peers.